What do you get when you add 23 more ships to Amver? You get a more robust international search and rescue system! Thank you to the ships listed below for enrolling in the Amver safety network. What's keeping you from signing up? We're happy to share the list of the latest vessels enrolled in Amver. We bring this to you each week to highlight the good work ships and shipping companies do. We know you have many other interests and bridge duties. We appreciate your willingness to take the extra step, ensuring you send position reports to Amver. Help us welcome the latest members. U.S. Coast Guard graduate students at the George Washington University Trachtenberg School for Public Policy and Public Administration need your help to evaluate the U.S. Coast Guard's Amver program. As you know, the Amver system is a global network of voluntary shipping vessels that respond to mariners in distress. The program's goal is to promote the safety of life at sea for mariners in distress. The Amver program constantly attempts to reach out to current and potential member ships and shipping companies through various marketing techniques. The goal is to recruit new members and encourage the participation of current ones. Your anonymous survey response will help us better reach out to new and current members to grow the program and the contribution it makes to promoting safety of life at sea. The U.S. Coast Guard values your participation in the Amver program. Help us improve Amver through your feedback to allow us to better serve you and your crews. An Amver tanker rescued a sailor and his dog from a damaged catamaran 500 miles east of Wilmington, NC on Friday, October 10, 2014. Coast Guard rescue personnel in Portsmouth, Va. received notification from the International Emergency Rescue Coordination Center that the 30-foot catamaran was in distress with a damaged hull off the coast of North Carolina. They immediately diverted a C-130 rescue aircraft from US Coast Guard Air Station Elizabeth City and diverted the Amver vessel Torm Gunhild. 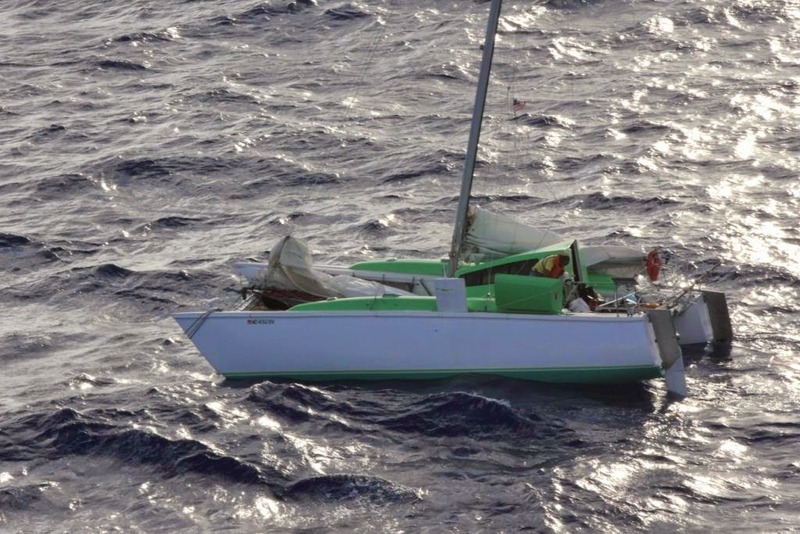 The Marshall Island flagged vessel was only seven miles from the distress location. The master of the 590-foot tanker was able to quickly located the catamaran, lowered a rescue boat and quickly embarked the sailor and his female Chihuahua, Bibi. "Both master and dog are in good health, besides being a little distraught due to the nature of the incident," reported the captain of the Torm Gunhild. The survivors were taken to the Bahamas where they were transferred to shore personnel. The Torm Gunhild, managed by Torm A/S of Denmark, enrolled in Amver on January 2, 2000 and has earned 11 Amver participation awards. 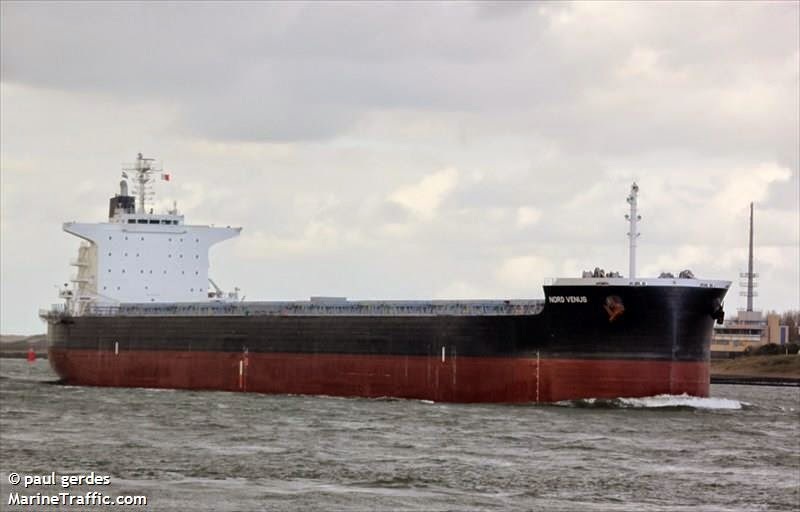 The Amver participating bulker Nord Venus rescued three people from an overdue skiff near in the vicinity of Chuuk Atoll on Thursday, October 8, 2014. U.S. Coast Guard rescue authorities at Sector Guam received an email from the Chuuk Search and Rescue Liaison regarding an overdue vessel with four people onboard. The 19-foot vessel departed Weno, Chuuk on Sunday, October 5 and was expected to arrive in Fananu the same day. Coast Guard rescue personnel diverted a search and rescue aircraft as well as diverting the 734-foot bulk carrier to search for the missing men. The Panamanian flagged ship began search and rescue operations and located three of the missing men. "Please be advised we've rescued three alive persons," the Nord Venus's captain email to the Coast Guard. "Survivor's condition is alive, not so bad, could drink and eat a little and are sleeping," he added. The survivors were transferred to rescue personnel in Chuuk and the Nord Venus continued on its voyage. The Nord Venus, managed by Nissen Kiaun Company Ltd, enrolled in Amver on March 13, 2012. Take a look! Another thirteen ships have enrolled in Amver! Your vessel could be listed here too if you just log on and sign up. Joining is easy and you won't be asked to do anything more than you've pledged to do as a seafarer. In fact, your ship is more likely to be used in a better coordinated manner when you join Amver and are called upon for search and rescue. Help us welcome the latest members. 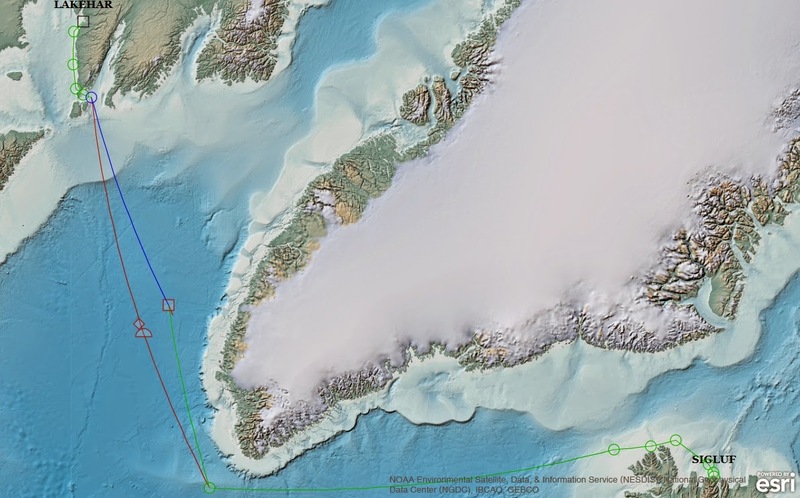 Amver recently updated its Report Validation/Vessel Routing (RVVR) software as part of modernization efforts which have been in progress for the last eighteen months. This software is used by Amver watchstanders to monitor and correct vessel message traffic that cannot be processed automatically due to problems such as typos or inconsistent information. Manual intervention on these reports ensures that as much message traffic as possible is processed correctly by Amver for accurate use in a Surface Picture (SURPIC). One of the updates to the application address the situation in which a watchstander must correct a report from a vessel that is currently on a voyage in the Polar region. In previous versions, it was impossible to modify turn points of a voyage route in latitudes that approached Polar extremes. With the updated version, alternative map projections centered on the poles can be used to view voyages in those regions. The projection functionality allows a watchstander to seamlessly transition from a typical Mercator-style map to a Polar stereographic view and edit voyage legs. Although these Polar situations are uncommon at present, Amver is always attempting to look ahead and use technical upgrades such as those applied to RVVR to make the seas safer. Thirteen may be unlucky to some, but we think it's a pretty darn lucky number? Why? Because thirteen vessels enrolled in Amver in the past week! Is your ship listed below? It could be if you sign up and become part of the only worldwide voluntary search and rescue system. Now, help us welcome the latest members. What does success look like? It looks like this. It looks like 25 additional members enrolled in the Amver system. We hope you'll consider enrolling your fleet. Now, help us welcome the latest members of the Amver safety network.